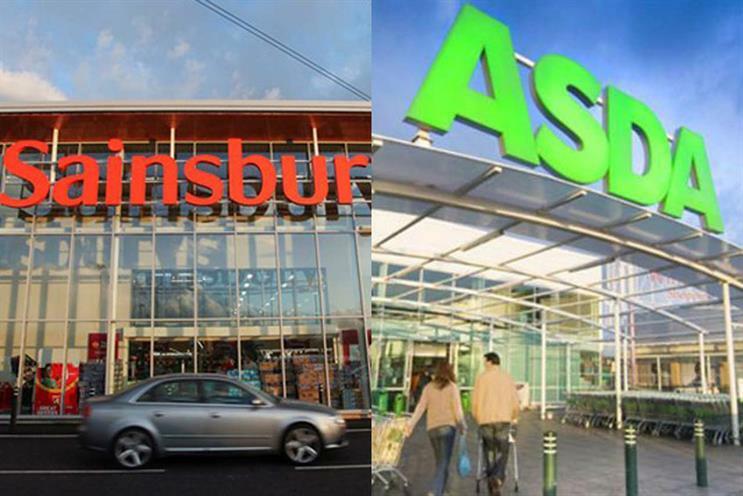 Sainsbury's and Asda are set to announce plans on Monday morning (30 April) for a merger that would see the combined business overtake Tesco as the UK's biggest supermarket. Sainsbury’s confirmed it was in "advanced discussions" with Asda after the story broke on Saturday. The news came less than 24 hours after Asda announced it had appointed Abbott Mead Vickers BBDO to run its advertising – the agency which did the same job for Sainsbury’s for 35 years, until they parted ways in 2016. The appointment followed a review launched by Asda chief customer officer Andy Murray, who joined Asda from parent company Walmart in 2016. His Sainsbury's counterpart, Mark Given, has been marketing director since February last year. Between them, Sainsbury’s and Asda have around 31% of the UK grocery market, while Tesco has 28%. However, if the deal were approved by the Competition and Markets Authority, it is likely they would be forced to sell some of their 2,800 stores – as happened when Morrisons bought Safeway in 2003. It is likely the two brands will remain, as Sainsbury’s targets a more upmarket consumer than Asda – while Sainsbury’s has a greater presence in the south and Asda in the north. But the merger, if it goes ahead, may still have a significant impact on the brands. Retail commentator Steve Dresser wrote on Twitter: "Two brands may be retained. But own label? It's hard to see how you'd walk in to an Asda in the new world and Asda products remain on sale, Sainsbury's in Sainsbury's as it's just storing up cost?" Dresser also noted is spite of earlier plans, Morrisons retired the Safeway brand after its acquisition – although the Safeway brand has since made a reappearance on products supplied by Morrisons to McColl's convenience stores. Two brands may be retained. But own label? It's hard to see how you'd walk in to an Asda in the new world and Asda products remain on sale, Sainsbury's in Sainsbury's as it's just storing up cost? However in principle and in practice are two very different things. We know that Morrisons fully intended to keep the Safeway name post takeover for the ‘Compact’ stores, didn’t happen. In 2010, Asda, which is owned by US retail giant Walmart, was linked with an acquisition of Argos owner Home Retail Group – which was eventually bought by Sainsbury’s in 2016. Richard Lim, chief executive of analyst firm Retail Economics, called the move a "game changer of epic proportions". He added: "The newly-formed retailer would be able to drive improved efficiency through cost-saving synergies, while the integration of Argos across a significantly larger store estate could 'supercharge' the non-food business. Of course, the deal would have to make sense both sides of the pond."